He received his undergraduate degree, a BSc., in Human Kinetics, at the University of Waterloo where he also played varsity football. 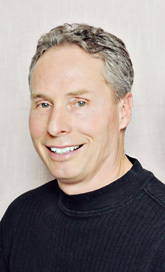 Upon graduation from Canadian Memorial Chiropractic College in 1982, he entered private practice in his home town of Kitchener where he remained for the next 19 years. As a father of five children, he experienced first hand the difficulties encountered in blending office and home life. As a result he has become compassionate toward and acutely aware of the difficulties encountered in the human journey. Dr. Meyer blended his love for sports with a passion to see people of all ages pursue their dreams. In the process he has attended to over 400,000 patient visits and delivered well over two million spinal adjustments. In 2003 he and his wife Lori, left Canada and built a practice in Lagos Portugal, reputed to be the fifth best place in the world to live. Seven and a half years later, after treating people from across Europe and Africa he emerged from his adventure having confirmed his belief, that people are people, each with their own hopes and dreams, fears and doubts, but with an infinite potential when they get out of their own way. He feels blessed to be able to serve the people of Tillsonburg and surrounding area through both the correction of spinal misalignment and the sharing of a life philosophy designed to set one free. Don’t wait! Contact Meyer Chiropractic today to get started with care.